With over a dozen vegan-friendly vendors, this premier music festival has transformed into a promising vegan food fest. Grab your crop tops and sunglasses; Coachella is nearly upon us. This annual mainstream music festival in the California desert is famed for its major headliners and all-day parties, but since Nic Adler took his place as Culinary Director, the two-weekend event has swiftly become a destination for food enthusiasts as well. A vegan and co-founder of Monty’s Good Burger, a new micro-chain locally referred to as a vegan In-N-Out, Adler has ensured an abundance of equally exciting vegan options at Coachella. Check out these vendors who are sure to steal the show. First debuted at Coachella in 2018, Adler’s own concept is back for an encore. Since this inaugural music popup, Monty’s now has two brick-and-mortar locations (Los Angeles and Riverside, CA) and has gained a loyal following in the process. No doubt there will be a long line for Monty’s double patty burgers (made with Impossible meat and Follow Your Heart cheese), tater tots, and classic milkshakes. Let’s look at logistics. Coachella takes place in the desert during the middle of April in California. We can virtually guarantee that you will break a sweat during the day. To combat that hot desert sun, seek out the Van Leeuwen ice cream truck. The company offers several unique non-dairy flavors from Cookie Caramel Strawberry Jam to Toasted Coconut Blondie. Don’t worry, traditionalists; Van Leeuwen also serves Chocolate, Mint Chip, and Chocolate Chip Cookie Dough. Really feeling the heat? Order a sundae with your choice of ice cream, chocolate sauce, and vegan whip. Turns out the ruthless Machete character is into vegan food, or at least, the actor Danny Trejo is. Trejo’s popular taco concept is headed to the desert to serve festival-goers its sustainably made specialties. The festival vegan options include Mushroom Asada Tacos and Vegan Empanadas. Vegans have the opportunity to try a taste of Top Chef quality food via Chef Shirley Chung’s latest project, Ms Chi Cafe. After working under several food luminaries such as Thomas Keller and José Andrés, Chung competed as a finalist on season 11 of this hit food competition show and eventually opened her own restaurant in Los Angeles in 2018. The menu offers several dedicated vegan options, including kimchi pancakes and mapo tofu, though the selection is streamlined for the festival. Stop by the booth for Chung’s outstanding vegan dumplings. The days might be sweltering but the desert nights are bound to be a bit chilly—especially for those rocking tank tops and cut-off shorts. Cozy up to a comforting bowl of vegan ramen complete with a vegan egg. The Los Angeles-based shop will offer three varieties at the festival: OG Ramen, Spicy Ramen, and Cold Spicy Ramen. This restaurant has come a long way since its humble food truck days of 2010. Seabirds now boasts two sit-down restaurants in Costa Mesa and Long Beach, CA, with another in Los Angeles coming soon. Like the business, the menu has expanded far beyond tacos. The restaurants serve seasonally inspired and locally grown dishes such as spicy enchiladas, entreé bowls, and a full weekend brunch menu not to be ignored. At Coachella, expect the greatest hits including Beer Battered Avo Tacos, Purple Potato Taquitos, Grilled Cheese, and a Grilled Enoki Mushroom Reuben (a festival exclusive). Southern California has seen a recent boom in Latino-based vegan food businesses, so it is only fitting that this rising trend be represented at one of the state’s largest music (and burgeoning food) festivals. Vegatinos will be serving its customer favorites including vegan meat-filled tacos and burritos, Papas a la Bestia, flan, and an assortment of refreshing and colorful agua frescas. Like vegan Latino fare, plant-based pizza is on the rise. Be the first to try this brand new plant-based project by Chef Anthony Carron, an experienced fine dining chef and co-founder of the Los Angeles-based fast casual wood-fired pizza chain, 800 Degrees. The menu has yet to be released, and the company is keeping a low profile for now, though that is sure to change come Coachella weekend when the hashtags start flying across social media. Think you can’t find a vegan option at a Korean BBQ joint? Hanjip is here for you. The all-you-can-eat restaurant will offer a Tofu and Veggie Bibimbap Bowl and a Veggie Bibimbap Bowl for those craving some wholesome veggies amongst the onslaught of heavy festival foods. If you’re doing Coachella right, it should be exhausting. Catch a second wind and power through from day to night with an almond or oat iced matcha latte from Matcha Bar. Want something a bit sweeter? Opt for the Coconut Matcha or Vanilla Almond Matcha Latte. The poke bowl craze is alive and well at this vegan-friendly chain. The veggie option includes sushi rice, sweet potato, avocado, carrots, cucumber, edamame, and chopped serrano all drizzled with a ponzu lime sauce. We hope this trend never dies. Watch your pizza be cooked before your eyes at Chef Anthony Carron’s original pizza concept. While he is debuting his completely plant-based pizzeria at the festival, Carron has ensured that 800 Degrees continues to cater to vegan patrons. Try the Veggie Lover’s made with black olives, red onions, green peppers, and Good Planet vegan mozzarella. Every decent vegan food festival has to have a falafel truck, and Coachella has met this standard with Me’ze, a new vegan Mediterranean project by Los Angeles-based Chef Vartan Abgaryan. 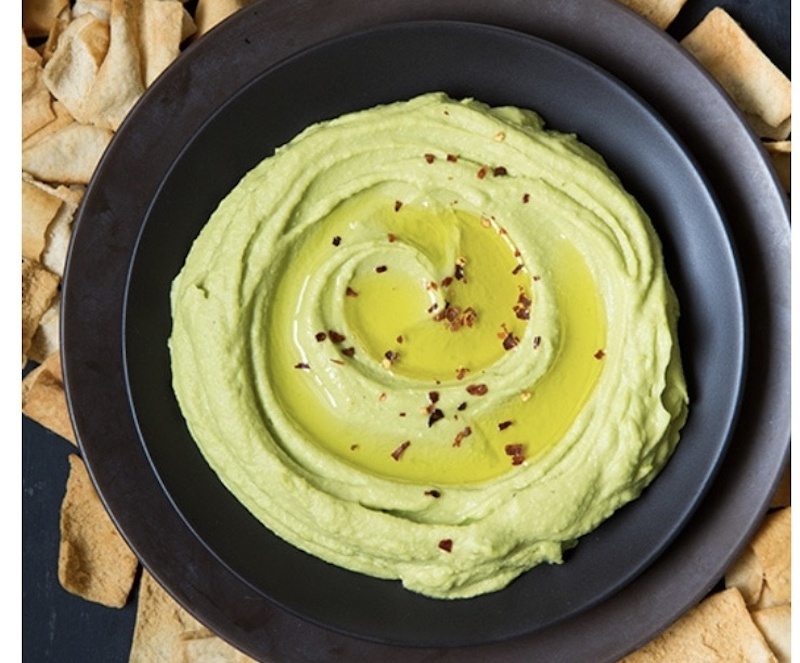 The festival menu includes Avocado Hummus and Pita, a Falafel Wrap, and a Beet and Grain Bowl. Rise and shine! Get your espresso fix at LAMILL. The coffee concept offers all the staples, from straight espresso to oat and almond milk lattes, as well as a Vegan Morning Glory Muffin and Vegan Chocolate Chunk Cookie. Like Van Leeuwen, we praised the day this gourmet ice cream shop introduced vegan options. Grab a scoop of the signature Roasted Strawberry Coconut or Freckled Min TCHO-colate Chip while waiting for the next musical act to start. This no-frills pop-up is a mainstay in Los Angeles street food culture. While steeped in tradition, the company has progressed with the palates of Los Angelinos and developed a vegan option in the form of a Crispy Jackfruit Taco. Add avocado—it’s worth it. For the love of fusion food, Chef Roy Choi is building a mini food empire at Coachella in honor of his ten-year partnership anniversary with the festival. Vegans can enjoy Kogi Tacos, Kogi Burritos (ask for no egg or cheese), and the Leafy-T Rice Bowl thanks to a tofu protein option. We’ll bet you’ve never made a peanut butter and jelly sandwich like this before. Take a bite of nostalgia with a grown-up twist by ordering any of these crustless vegan creations. Festival options include the Old School (peanut butter and strawberry jam), Red Eye (espresso peanut butter and dark chocolate raspberry jam), and a Coachella exclusive, The Elvis (peanut butter, banana jam, and vegan bacon). Keep the soft white bread from sticking to the roof of your mouth with a bottle of the pop-up’s almond milk horchata. It may have taken McConnell’s sixty-nine years to launch a non-dairy line, but it was well worth the wait. The 70-year-old Santa Barbara-based ice cream company debuted five dairy-free flavors in 2018, one of which will be available at Coachella. Get hooked with a scoop of Dairy-Free Toasted Coconut Almond Chip at the festival, then buy a pint at your local grocery when you get home (hint: the Dairy-Free Eureka Lemon & Marionberries is a staff favorite). This bright blue food truck with the enormous red lips painted on the side is making the trek from Los Angeles to bring its decadent savory dishes to hungry festival attendees. Best paired with a beer, the Buffalo Fries and namesake Word Burger are sure to satisfy those all-day concert hunger pangs. The Coachella Valley Music and Arts Festival will be held April 12-14 and April 18-21 at the Empire Polo Club in Indio, CA. For the full culinary lineup including vendor locations, visit the Coachella Eat & Drink page.